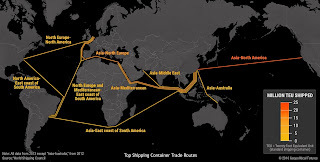 For about an hour yesterday (Sunday August 6) two singularly interesting container vessels were sharing berthing at the world’s largest (biggest?) 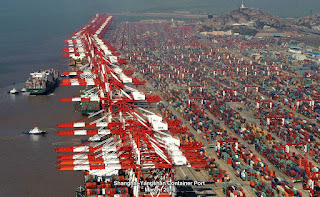 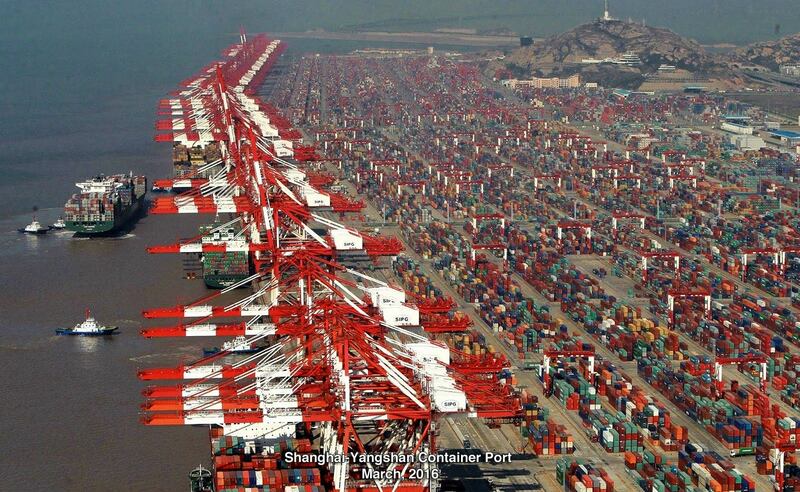 container port, Shanghai, China. 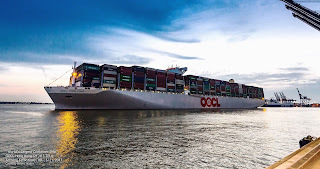 I received AIS notices via MarineTraffic that the CMA-CGM Benjamin Franklin and OOCL Hong Kong were departing and loading the world’s biggest container port, Shanghai, China. 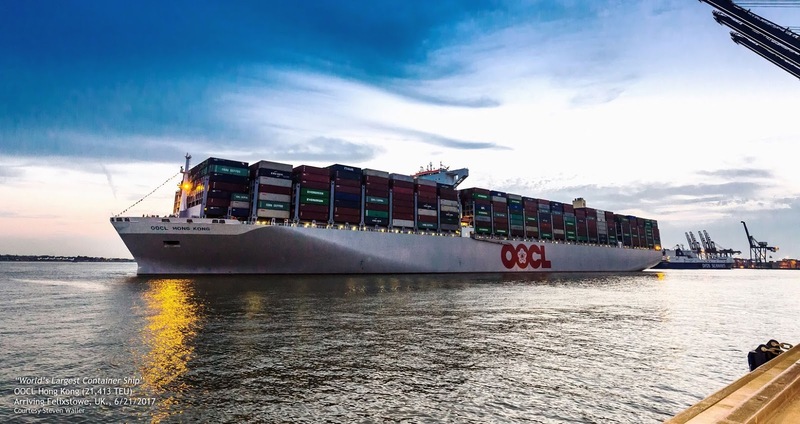 Photo above shows OOCL Hong Kong arriving on maiden voyage at Felixstowe Container Port (UK) in June. 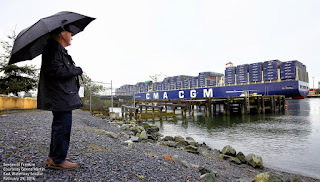 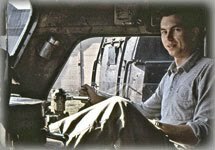 I was undergoing dental surgery about two miles from where the CMA-CGM Benjamin Franklin made landfall in Seattle in April 2016. 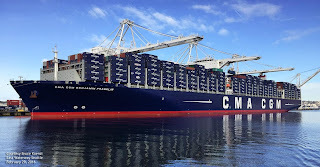 Benjamin Franklin had arrived from Port of Oakland on a "test run" to observe Seattle's ability to cope with, what at that time, was the "world's largest box boat" to visit US ports. 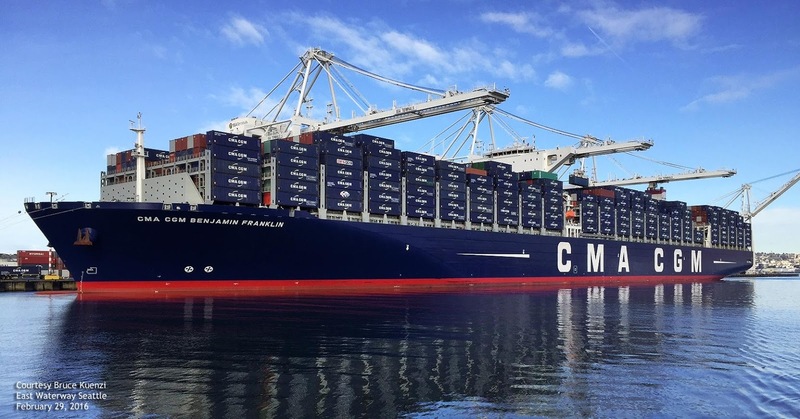 CMA-CGM has since scrapped plans to service US ports, and moved vessel to the "Asia-North Europe Conveyor Belt." And I missed the visitation as she passed by my home in Port Townsend — inbound and outbound through Admiralty Inlet — in the middle of the night! 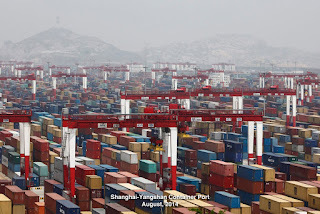 On the other hand, the scale of Shanghai Container Port is so deliciously fascinating, Oil-Electric does have articles “in the oven,” exploring that fascinating facility, and the OOCL Hong Kong.